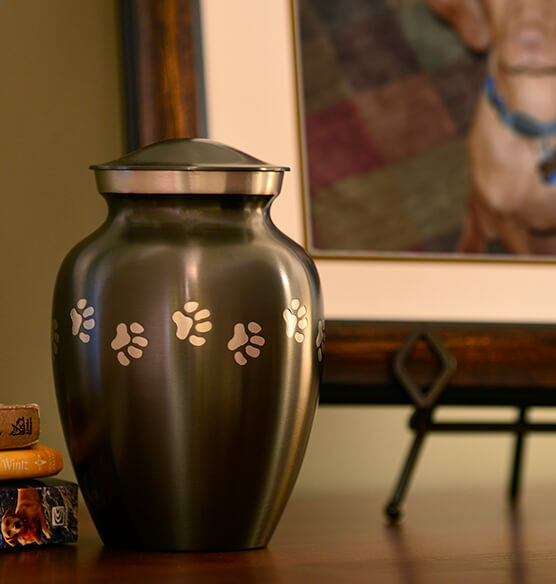 This classic Personalized Gray Brass Paw Print Pet Urn makes a dignified and beautiful resting place for your pet's ashes. 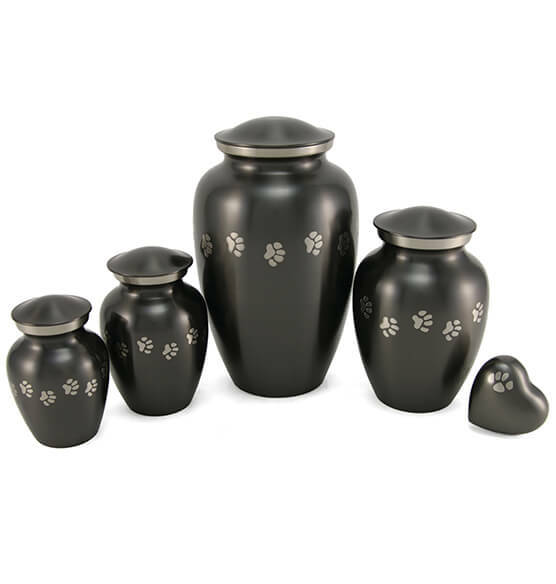 Traditional in shape and hand painted with silver paw prints, this personalized pet urn perfect for dogs or cats. Closes securely with a threaded lid. Available in four sizes. 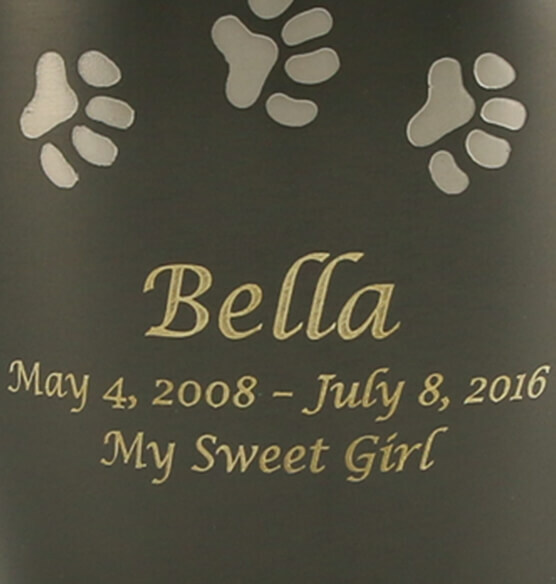 Personalize with a message in your choice of lettering styles to create a one-of-a-kind pet memorial.